Wallasea Island in Essex, England, is Europe’s largest habitat creation project. This reclaimed natural landscape is being built up with spoil excavated from underneath the streets of London, a by-product of the CrossRail engineering project. British builders are carving out lagoons, mudflats and saltmarshes in the hopes of bringing wild birds and other creatures back to the region. 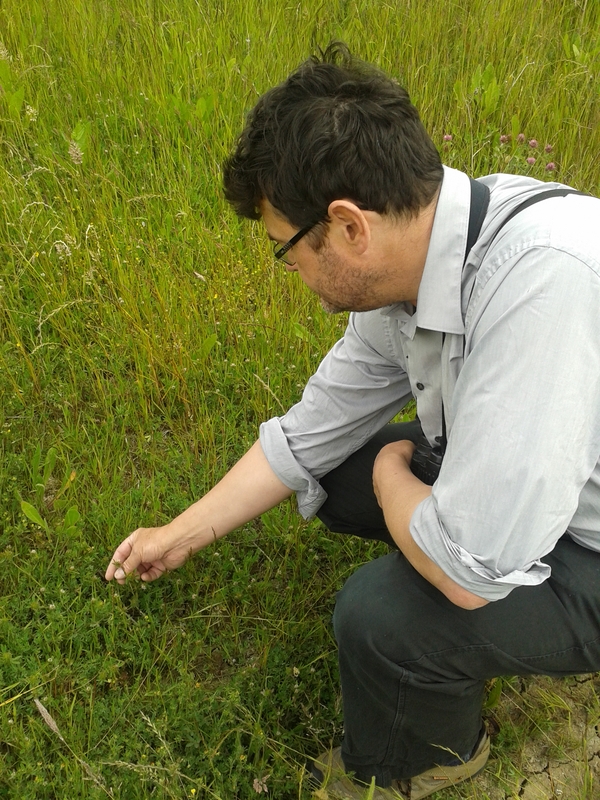 The RSPB’s Chris Tyas with a sprig of sea clover. With thanks to Lori Herber and Saroja Coehlo at Living Planet, where this report initially appeared.